Chandler's Roofing has been awarded the prestigious 2011 Angie's List Super Service Award which reflects a business' consistently high level of customer service. Chandler's Roofing has been awarded the prestigious 2011 Angie's List Super Service Award, an honor bestowed annually on approximately 5 percent of all the businesses rated on the nation's leading provider of consumer reviews on local service and health providers. "It is an honor to have achieved this award for the second year in a row," stated Brian Hicks, CEO of Chandler's Roofing. "Having been awarded the 2011 National Residential Roofing Contractor of the Year Award in November by Roofing Contractor Magazine and now receiving the Super Service Award from Angie's List, it really finishes 2011 off strong for our company and is reflective of the quality workmanship and outstanding service that our employees are putting out." "Only a fraction of the businesses rated on Angie's List can claim the sterling service record of being a Super Service Award winner because we set a high bar," said Angie's List Founder Angie Hicks. "The fact that Chandler's Roofing can claim Super Service Award status speaks volumes about its dedication to consumers." 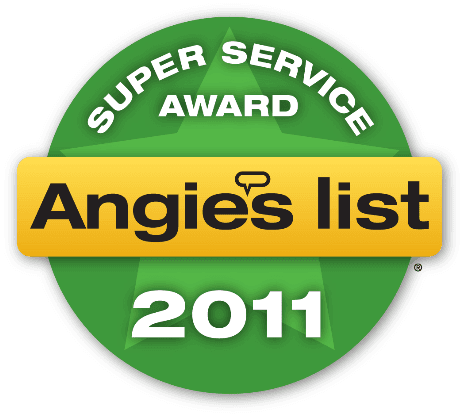 Ratings are updated daily on Angie's List, but members can find the 2011 Super Service Award logo next to business names in search results on AngiesList.com.